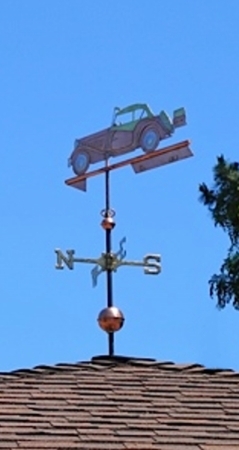 Our 1953 MG TD Weathervane was ordered by a couple who stopped by our shop on their way to Carmel to celebrate their anniversary. 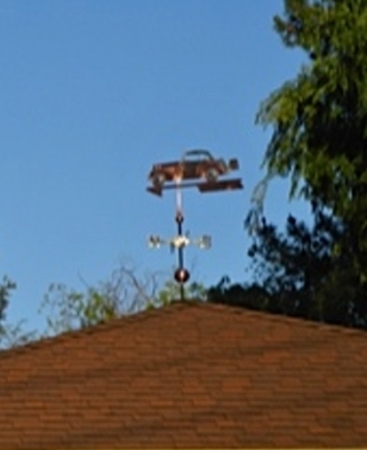 They were thrilled to see that we have the talent and experience to create a weathervane of their dear sports car. We all stood in driveway and admired this lovely piece of machinery as we discussed the commission. They chose to have us add and the fun inscription you can see in the pictures, and ‘lucky pennies‘ from 1953, for their TD, and the year of their marriage. 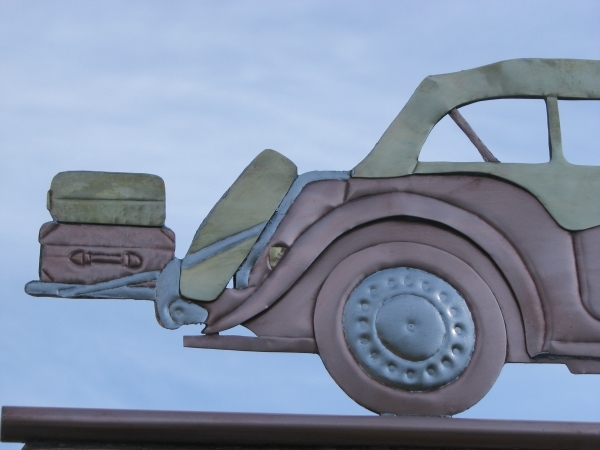 It is crafted from layered copper sheets in what we refer to as silhouette style. 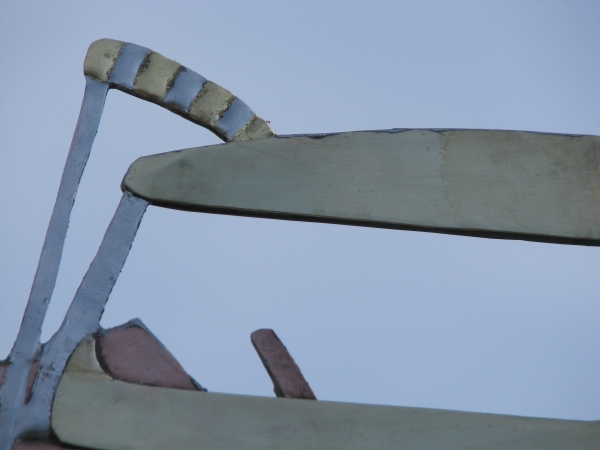 By layering we add enough strength for the design to withstand wind, and it allows us to chase design elements into the metal and make cut-outs without weakening the vane. 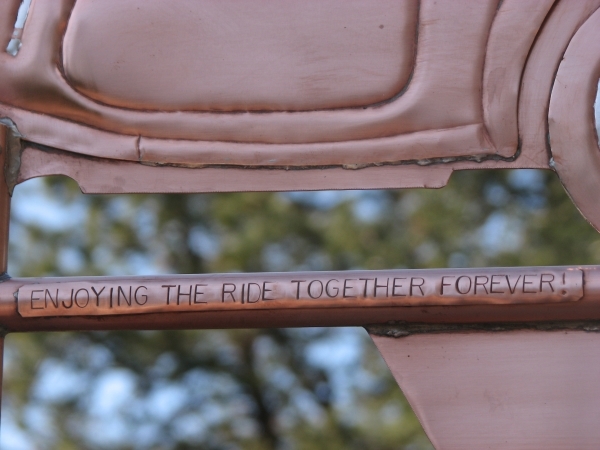 On this piece our customer requested optional palladium leaf on the surfaces that are chrome, and gold leaf on the surfaces that are leather on his beloved MG convertible. 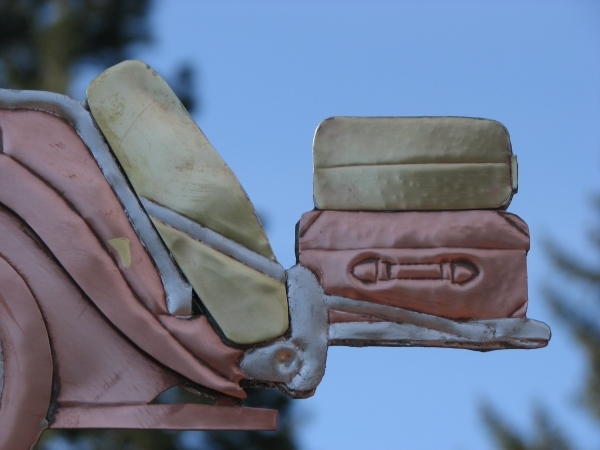 This gilding will remain a bright contrast for many years as the copper weathers through the browns, and then patinas. 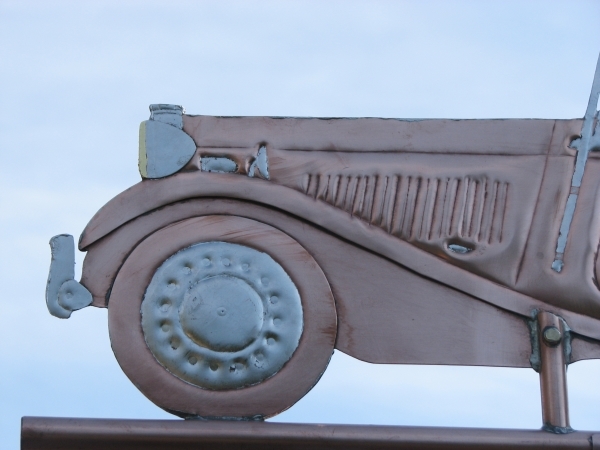 We have many car collectors among our customers. They have ordered our weather vanes for their garages, their gates, and their gardens. 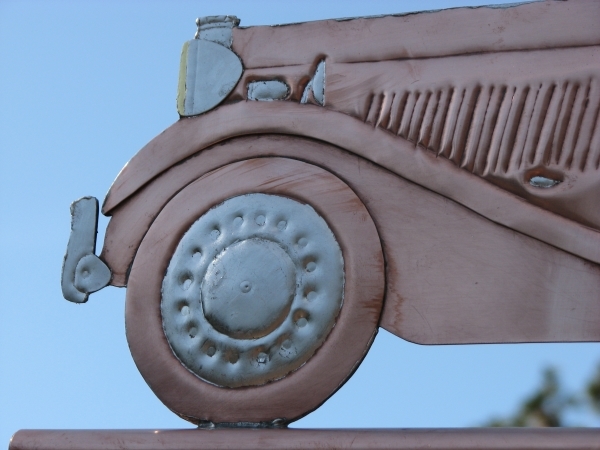 We have also designed car weathervanes for salesrooms, repair shops and race tracks. 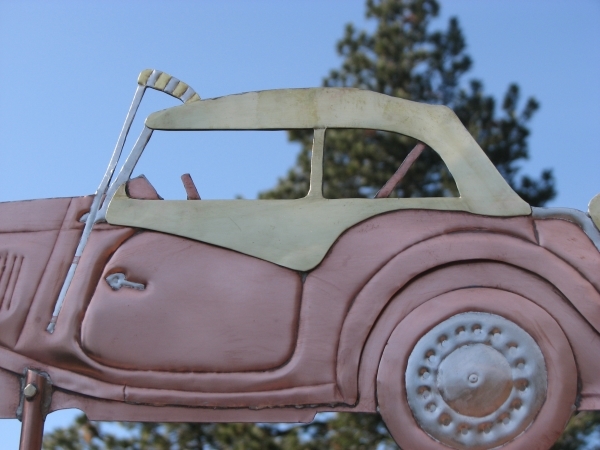 We have several craftsmen in our shop who love to do cars. 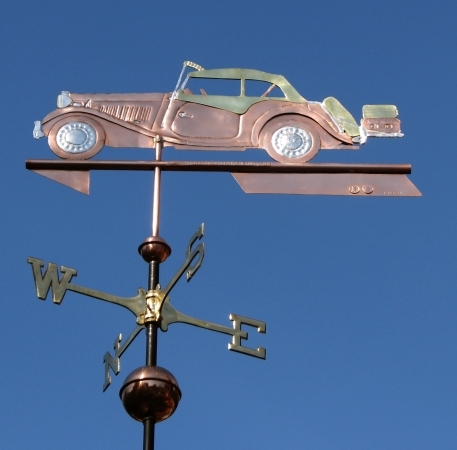 Let us know if you would like us to design a weather vane of a special car in your life.